Could Energy Efficient Products Be Hurting The Environment? The study showed that LED lights, particularly, save more energy than their rebound. Additionally, the reason for the increased use of LED lights could be attributed to the fact that the world is more developed and wealthier than it has ever been, therefore sparking the need for more light. 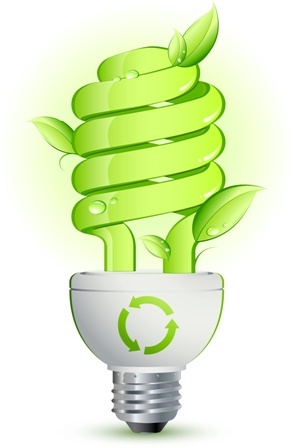 The concept of rebound is definitely important to remember and consider when reviewing energy efficient products. If a product saves energy on face value but it is overused, it might not actually benefit the environment. While LED lights are shown to be worth using even with rebound, some newer, less refined technologies may not be as energy efficient as they seem. For example, energy efficient washing machines are more cost-effective than any washing machines in the past. This could potentially give rise to more global use of washing machines. The increased use, even of an energy efficient washing machine, could lead to more excess water, energy, and chemicals being consumed. In that case, it’s possible that the technology that saves energy on a small scale could actually be detrimental on a large scale when all factors are considered. I think it is important that scientists are concerned and actively studying this topic. Clearly, developing new energy efficient technologies are good and necessary, but addressing the rebound factor for each new product will ensure that we are not making any more mistakes about our environmental impact and truly contributing to lessening our carbon footprint. I think that the only way to really help our environment is to stay conscious of every decision we make, not to simply accept whatever is happening at face value. I had never heard of the term “rebound” before, therefore I am a little unclear as to how it works exactly. It sounds like it has to do with the way that energy efficient products are made and whether or not it is more energy efficient to just make non energy efficient products? I totally agree with you that in order to be environmentally conscious we really need to pay attention to every decision we make not just our face values. It’s really hard to keep track of everything we do and hard to make sure its all environmentally friendly. We are humans and it’s almost guaranteed that we will mess everything up somehow. We just have to work hard to minimize our affects. Claire – Sorry if it wasn’t clear before. Rebound means that because a lot of energy-efficient products (such as lightbulbs) are more cost-efficient than conventional lightbulbs, people who might not use lightbulbs in the first place might start using them. If enough people do this, then the energy saved by the new product will end up being used or even surpassed due to the sheer amount of new people using the products. So the rebound would mean that the rise of the new energy-efficient products would end up using more energy than the higher cost, higher energy usage original products. Is that more clear? Let me know!